The Memsource Desktop Editor is a robust CAT tool which can be installed on Windows, Mac, and Linux, that allows you to work beyond a wifi signal. As soon as an internet connection is established, full functionality is provided and your translations are automatically uploaded to Memsource Cloud. Manage your translations with your mobile phone or tablet so that you’re always up-to-date and ready to go. Push notifications and instant dashboards ensure that you’ll never miss a deadline. 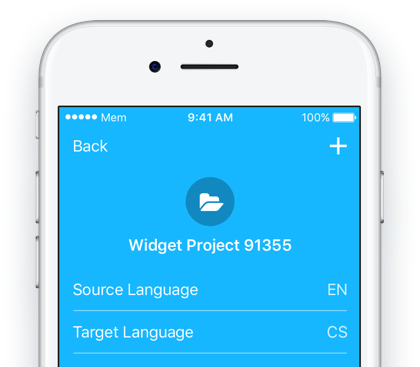 Put your career in your hands – download the Memsource Mobile App for linguists and project managers.